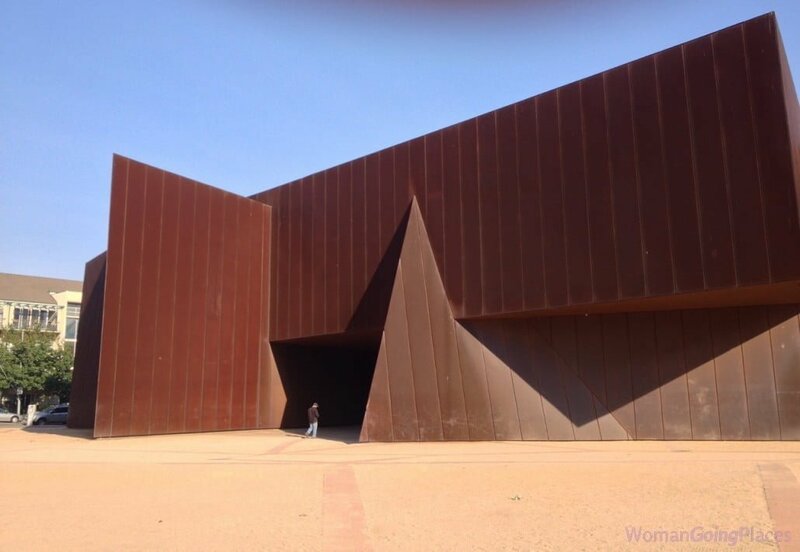 ACCA – the Australian Centre for Contemporary Art – is Australia’s most significant contemporary art space and plays a pivotal role in developing contemporary art in Australia. It is the only major public gallery in Australia focused on commissioning rather than collecting, and has commissioned an unparalleled number of new works from emerging Australian contemporary artists. The current NEW15 exhibition is part of the annual NEW series that provides young artists with the opportunity to create large-scale new works. NEW has been so successful that for some artists it has become the launching pad to local and even international recognition. Now in its 15th year, NEW is highly regarded and generates huge excitement in the local art world and annual pilgrimages to ACCA in Melbourne. At Venice Biennale 2015, Fiona Hall’s installation, ‘Wrong Way Time’ will be the inaugural exhibition of the new Australian Pavilion. Australia is the first nation to be granted permission to create a new building among the Biennale’s heritage-listed buildings. This is remarkably significant for Australian art and architecture as it is the first 21st century pavilion to be built in the historic Giardini. This new $7.5million pavilion represents another link between ACCA and the Venice Biennale. John Denton, Director of Denton Corker Marshall, the Melbourne based architecture firm that designed the new pavilion, is also Chair of ACCA. The previous Chair of ACCA was Naomi Milgrom AO, businesswoman, philanthropist and distinguished patron of contemporary art and architecture. The ACCA building itself has become a distinctive architectural icon of Melbourne. It’s rust red steel exterior is reminiscent of the red earth in outback Australia, and like this earth, it too changes colours in response to the sun. Sometimes it is a brooding dark red, at other times a vibrant, rich burnt-orange colour. The building was designed by local architects, Wood Marsh, and completed in 2002. But ACCA’s history as Australia’s only ‘kunsthalle’ showcasing the latest and most significant artwork by living artists from around the world, goes back 30 years. The ACCA building is located behind the National Gallery of Victoria in the arts precinct of Southbank, and in a sense was regarded as the “new kid on the block”. The National Gallery had reigned over art in the state of Victoria for 152 years. But increasingly, ACCA became the place to see the newest and most exciting trends in contemporary art. This was in stark contrast to the NGV which largely turned its back on contemporary Australian art. It was only last year, with the blockbuster exhibition, ‘Melbourne Now’, that the NGV finally flung open its doors to contemporary artists, many of whom had been welcome for some time at ACCA. ACCA’s renowned Artistic Director and curator Juliana Engberg who has commissioned and overseen more than 120 of ACCA’s Australian and international exhibitions, is now leaving to join the roaming European Capital of Culture series. In addition to its exhibitions, ACCA also holds very popular events. There are drawing workshops, educational programs and lectures. Currently, there is a highly acclaimed lecture series called ‘The Grand Tour: Cities Shaped by Art’ that covers London, Venice, Berlin, Beijing and Amsterdam. The ACCA courtyard is shared with the Malthouse Theatre and is a very attractive place to enjoy a coffee after viewing the exhibitions.